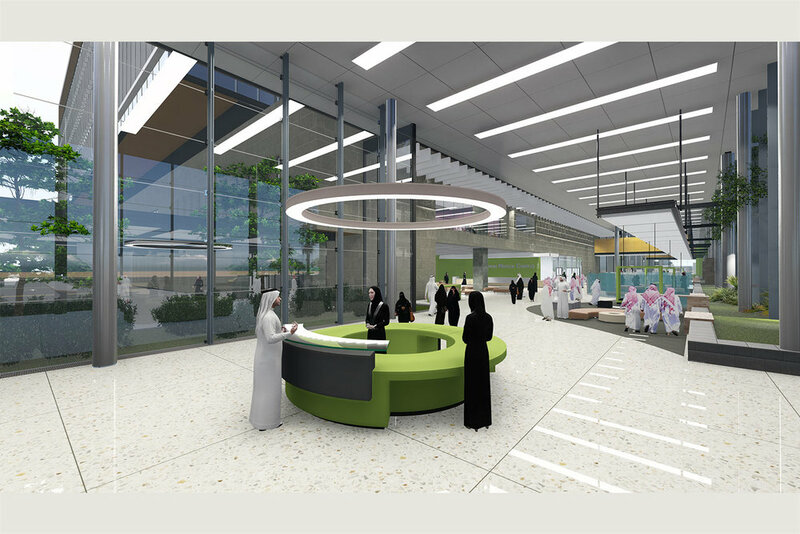 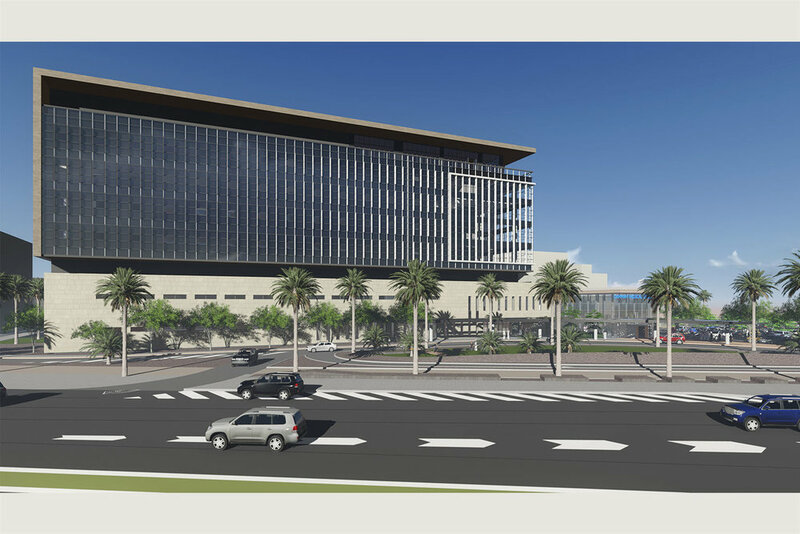 DAMMAM, KSA This project for the Ministry of Health is an update of inpatient services areas and a master planning effort to improve overall delivery of services for the campus. 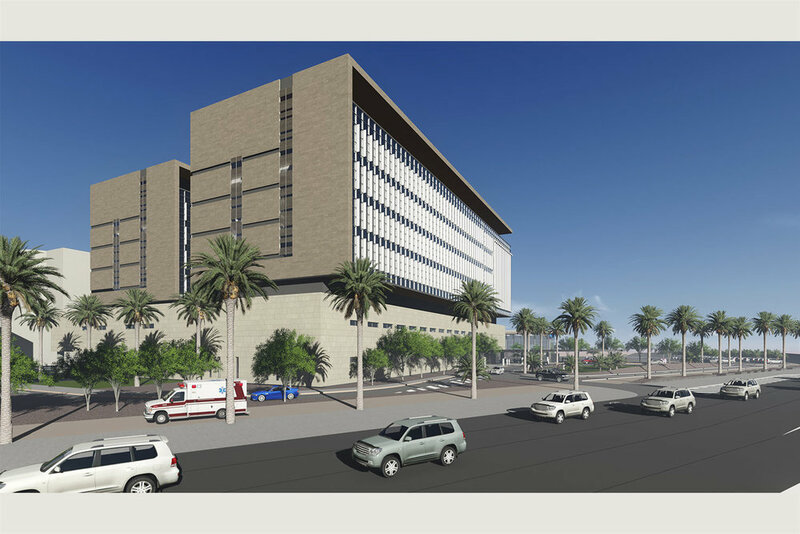 The scope of the improvements includes an Emergency Support Services Building (ESB), a new Central Hospital Expansion (CHE) facility and a new Outpatient Building (OPB). 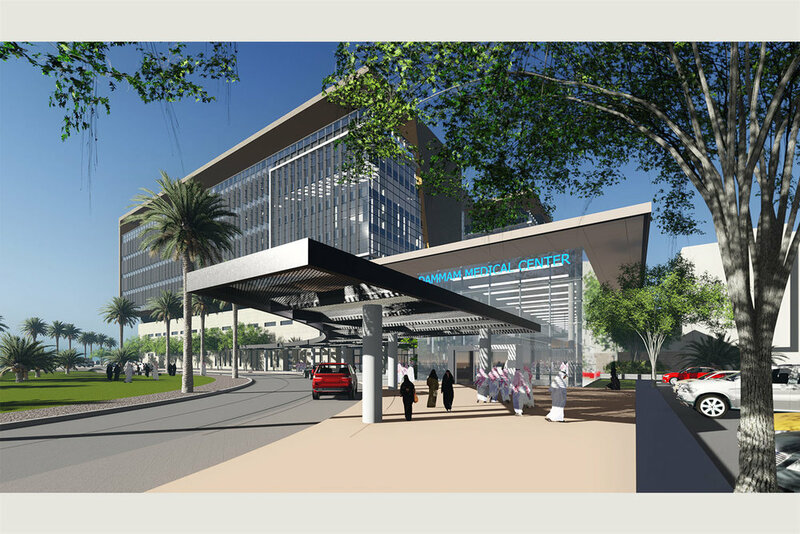 Vehicular circulation (public, patient, emergency and service) was analyzed for optimal flow for the campus and to improve the patient experience by separating public and visitor traffic from patient, staff and service traffic. 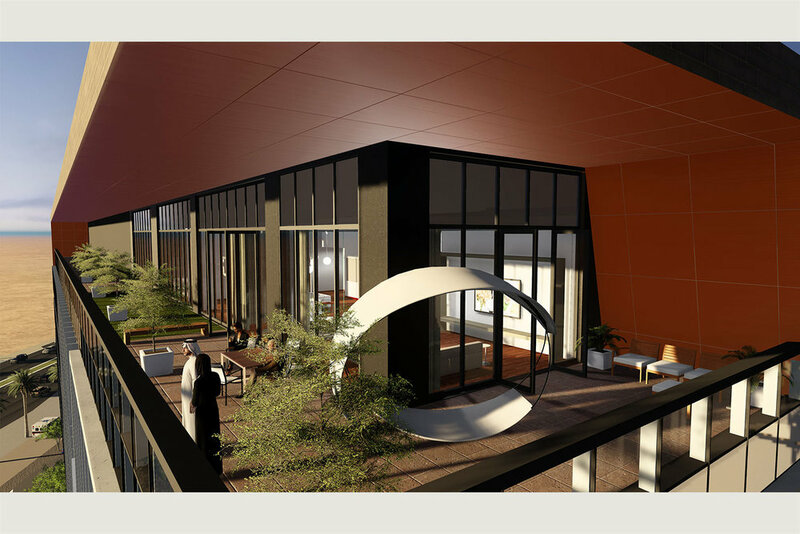 Key project goals and principles include the creation of a new powerful image for the campus by developing a common, shareable architectural language.